Just learned something new today, and had a mystery solved at the same time. The first day my parents were here two weeks ago, while walking home from the park we were delighted to see a plane writing something in the sky. I always love sky writing – wondering what they’re going to say, watching the perfect little stream of white puffiness streak across the sky. Once, in high school, my sister and I saw someone’s marriage proposal written in the sky – that was exciting. But this one was more ambiguous than exciting, because we weren’t sure what it was supposed to mean. 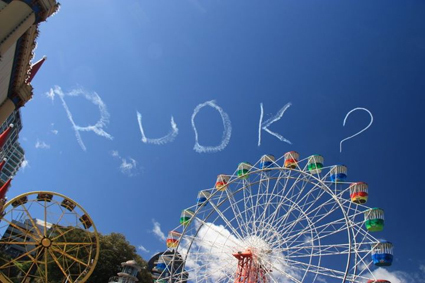 The airplane wrote, “RUOK?” And that was all. It was such a windy day that the letters only lasted moments before getting pulled hither and thither by the wind currents, streaking into crazy slants. We wondered if it was supposed to be some kind of advertising campaign, but I didn’t think that was very effective since there was no mention of a company. Or maybe it had something to do with 9/11, which was the next day, but honestly that felt more like one of those things that an American abroad would think, rather than being the real reason. This got me wondering again. Well today, I learned what it meant. 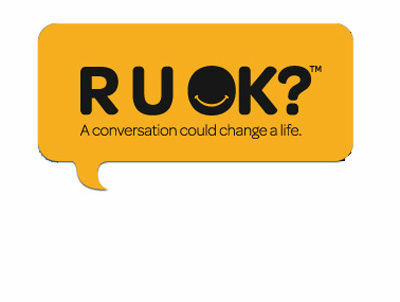 Australia has a national RUOK? Day, which is “a national day of action which aims to prevent suicide by encouraging Australians to connect with someone they care about and help stop little problems turning into big ones.” As they explain it, on this day they encourage everyone across the nation to ask family, friends and colleagues, “Are you okay?” It began in memory of a successful business management consultant who unexpectedly took his own life. Apparently they have had a pretty widespread participation in the last 3 years it’s been going on. I thought this was a neat thing, although I still wonder if it was more an indication that Australia just has a particularly high suicide rate or something. The RUOK? website says 2100 Australians commit suicide each year, while another 63,000 attempt suicide annually (and fail). But according to my trusty friend Wikipedia, Australia is only #45 on a list of 107 countries in terms of suicide rate, which is 6 slots lower than the US. So I guess it’s just a neat thing. Go Australia! PS – Thanks to this source for the skywriting photo. Nope, never seen it. 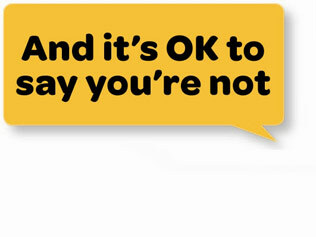 I take it the US has a National RUOK Day too?